The Blacklight Art Show is an experience best suited to the time of year when the veils grow thin between worlds, other dimensions seep through in deceptively cheery colors to blind you beyond science. Studio 23 is transformed from a mild-mannered mecca of artistry into a pulsing powerhouse of spirits gathering force to unleash unholy havoc upon preconceptions where the love of art rules over all. Local East Bay artists are lovingly toiling and troubling to bring you feasts that glow and dilate your pupils with glee. 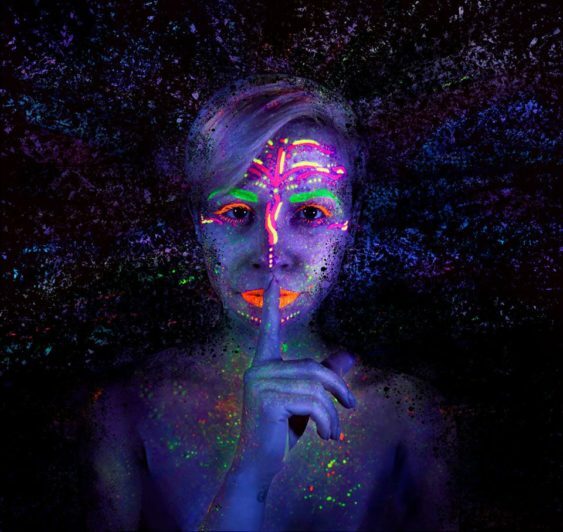 Come and join the dance and the conversation between light and shadow, under the wondrous canopy of blacklight. Admission is free and all ages are welcome. 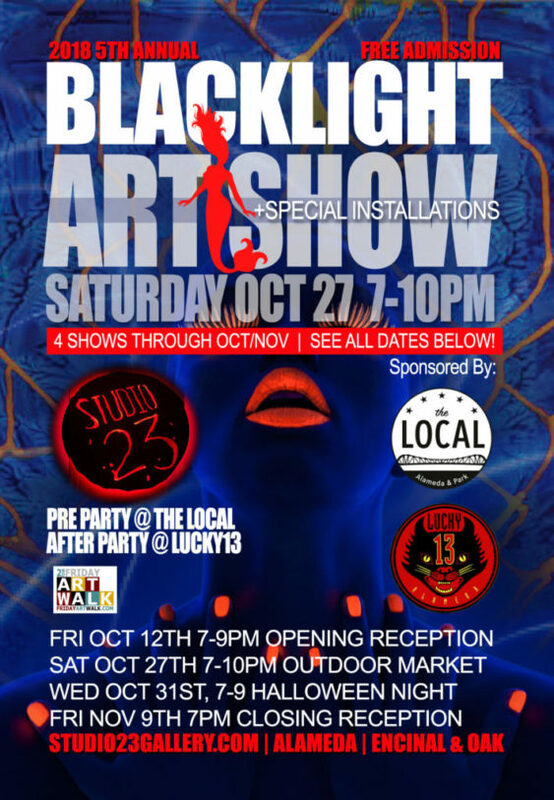 Expect lights out, UV reactive art, a special blacklight installation room, LED sculptures, Halloween tricks and delicious treats. So come inside, see and feel the presence of the powers of creativity, meet and greet and have a treat, and feast your eyes.